Part of the process of leaving the EU will be the rebuilding of government departments that have been weakened by our membership of the EU and this presents a huge opportunity to deliver on the half-arsed attempts to decentralise the British government. The Department for Environment, Food and Rural Affairs (DEFRA) have done little more than police farmers to ensure they are doing what the EU tells them to do and administer the subsidy system ever since responsibility for farming and environmental policy was handed over to the EU many years ago. DEFRA - or whatever replaces it - will need to grow significantly when the UK regains control of farming, environment and fisheries and that growth should be outside of London. The case for rebuilding DEFRA outside of London is possibly the strongest of all British government departments. Anyone who's been to the home of the civil service in Whitehall will have noticed a distinct lack of fields and livestock in the immediate vicinity. Whilst living and working in a city of 9m people doesn't preclude you from holding the necessary qualifications, it does result in a detachment from the reality of rural life which should be a pretty key requirement from policy makes in that department. Locating the newly rebuilt DEFRA or is successor somewhere like Great Yarmouth or Felixstowe on the east coast would expose policy makers to the consequences of the decisions they make as well as providing some welcome investment in local and regional infrastructure in East Anglia, for example. If proven successful, the Department for Transport should follow the decentralisation blueprint. London is the worst place to put anyone responsible for national transport policy because public transport in London is like nothing else in England. It gives ministers and civil servants a severely distorted view of how public transport works (or more often than not, doesn't) and leads to the kind of decisions that penalise people who rely on their own vehicles. Locating the DfT outside a metropolitan area would help make transport policy work for everyone, not just the privileged minority who live in large, well-connected cities. UKIP has long championed localism and Brexit provides a perfect opportunity to deliver that change. 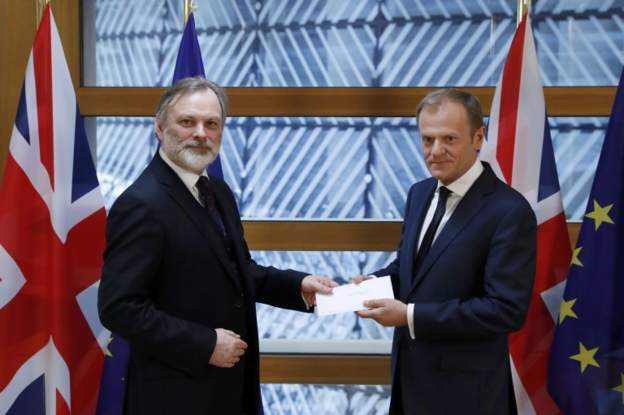 The UK's ambassador to the EU, Sir Tim Barrow, today hand delivered a letter to Donald Tusk informing him that we are leaving the EU. Donald Tusk is the President of the European Council. He shouldn't be confused with the other six Presidents, Antonio Tajani who is President of the European Parliament, Joseph Muscat who is President of the Council of the EU (which is different to the European Council), Jean-Claude Juncker who is President of the European Commission, Koen Lenaerts who is President of the EU Court of Justice, Mario Draghi who is President of the European Central Bank or the impressively named Vitor Manuel da Silva Caldeira who is President of the European Court of Auditors (the body that have refused to sign off the EU's accounts for 21 years because of the level of fraud and incompetence). I'll save you counting - that's 7 presidents, all on the public payroll. 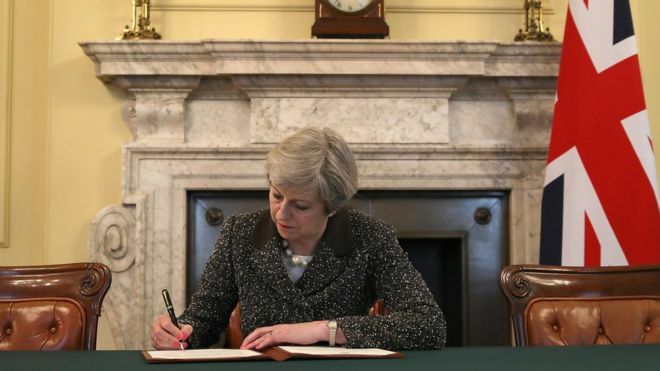 The letter triggers a process of negotiating an orderly exit from the EU and agreements on what our relationship with the EU will look like when we've left. This process can take up to two years but can be cut short by the UK unilaterally or extended with unanimous agreement of EU member states. If no agreement is reached then we will revert to World Trade Organisation rules which is how most of the world does its trade with the EU. These rules won't, of course, apply to the 80% of our trade that is done with ourselves and will mean no change to the 9% or so of our trade that is done with the rest of the world. The British government's plan is to adopt the entirety of EU law (known as the Aquis) into domestic law so they are free to amend and repeal it at will. They also plan to withdraw from the jurisdiction of the EU courts and restore parliamentary sovereignty. 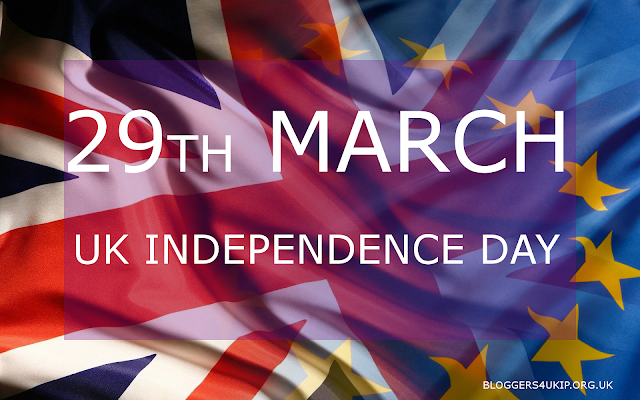 There is also an intention to agree reciprocal rights for EU citizens living in the UK and vice versa and to preserve the Common Travel Area with the Republic of Ireland which provided free movement between the UK and the Republic long before the EU existed. There is too much opportunity for the British government to backslide and break its promise to deliver Brexit. With any agreements negotiated with the EU the devil will be in the detail and nobody is better at finding the devil in the detail than UKIP. 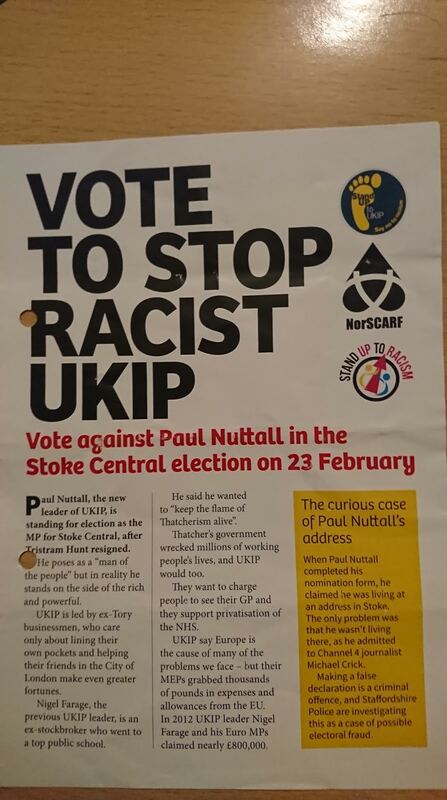 This is why UKIP is more relevant than ever. The Scottish Parliament have voted to ask the British government for permission to hold another independence referendum. Despite the previous referendum being sold as a "once in a generation opportunity," the SNP and Greens have carried the vote by 69 votes to 59 to try and have another go. Theresa Maybe has been a bit less equivocal over Scottish independence than she has been on the subject of UK independence. 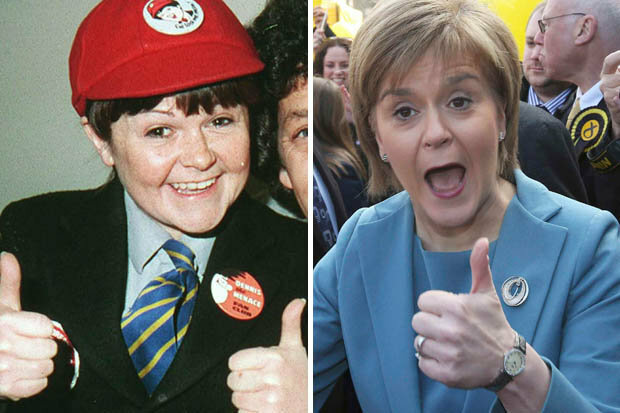 She has told wee Jimmy that now is not the time for another independence referendum and they should wait until after Brexit has happened before thinking about another referendum. There is only one way to settle the subject of Scotland's place in the British union and that is a new union of sovereign nations built on equality not privilege, and consent not compulsion. 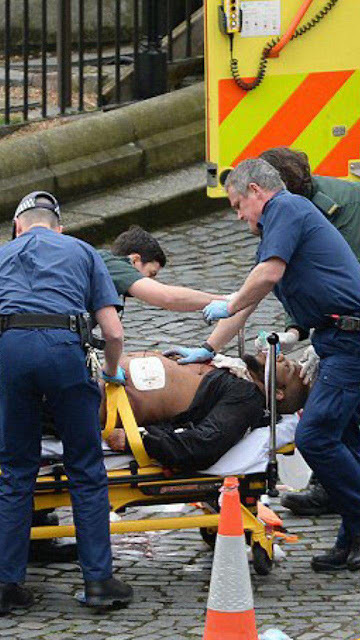 The terrorist who killed four people and injured 40 in Westminster yesterday has been named as Khalid Masood. Masood was known to the police for violent conduct but not terrorism and ... wait for it ... the BBC are reporting that he was mentally ill.
What an insult to the memory of those who were killed. A man has attempted to drive a car into shoppers in Antwerp, Belgium. The car was driven at speed toward a shopping street but appears to have been stopped by security forces. The boot of the car was found to contain blades, a rifle and an unidentified bottle of liquid. The driver has been named as Mohamed R and is a French national. 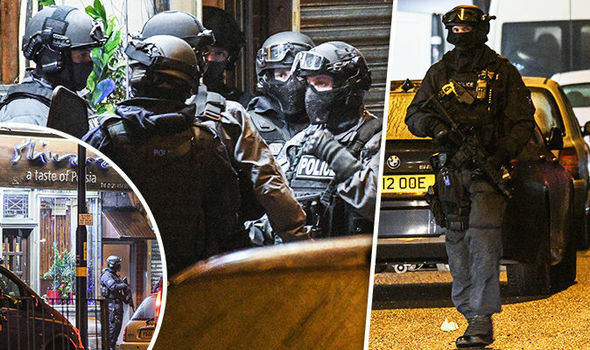 Anti-terrorism police have raided an address in Birmingham in connection with yesterday's terrorist attack in Westminster. Three men were arrested at a house in Hagley Road that the hire car that was driven through pedestrians on Westminster Bridge was registered to. Birmingham's Labour administration was criticised just days ago for allowing the Sparkbook area of the city to become "a Jihadi training ground", responsible for 1 in 10 homegrown terrorists. The address raided is less than 2 miles away from Sparkbrook. Westminster terrorist attack death toll now at 5, Met says it will be tackling "right wing extremism"
The Metropolitan Police have confirmed that the death toll in today's terrorist attack in Westminster is now five people with around 40 others injured. In a statement not long ago, Assistant Commissioner Mark Rowley said that the police are working on the assumption that the attack was Islamic related terrorism but then bizarrely went on to say that the police would be concentrating on tackling "right wing extremism" that the terrorist attack might foster. Talk about skewed priorities - putting resources into something that isn't an immediate problem instead of something that is! Channel 4 News have backtracked on this story after it emerged that Izzadeen is, in fact, still in prison! The terrorist behind today's attacks in London has been unofficially named as Abu Izzadeen, a convicted hate preacher from Hackney. Izzadeen was jailed for 4 and a half years in 2008 for raising funds for a banned terrorist organisation. He was given a 2 year prison sentence last year (which would have been reduced to 12 months for "good behaviour") for breaching travel restrictions after being arrested on a train heading from Turkey to Romania. If the terrorist was Izzadeen it is likely that the attack was planned during his time in prison. Met Police Assistant Commissioner, Mark Rowley, has made a statement on today's terrorist attack in Westminster. Four people are now believed to have died, including a policeman and the terrorist, and at least 20 more injured. A terrorist attack has taken place outside the Houses of Parliament this afternoon with at least two person killed and an unknown number injured. A car drove through pedestrians - including a group of French school children - on Westminster Bridge before crashing into railings outside Westminster Palace. The driver then entered Westminster Palace on foot and stabbed a police officer who has subsequently died before being shot several times. The police are treating it as a terrorist attack but have refused to be drawn on who they believe is to blame. However, a picture of the suspected attacker is being shared on social media and the method of the attack is a common theme across Europe. A Plaid Cymru AM suspended over allegations of bullying a council employee has been allowed back into the Plaid group after an adjudication panel ruled that he had bullied a Cardiff council officer. 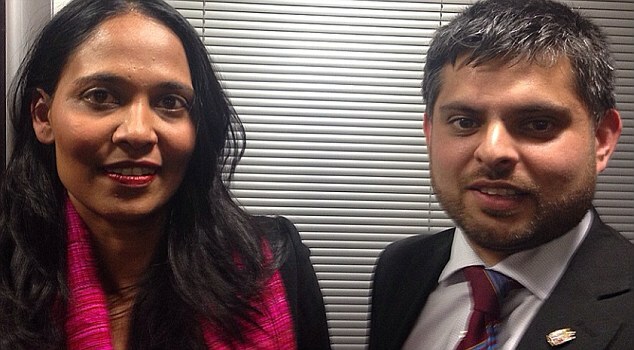 Neil McEvoy AM bullied a council employee over an eviction in his role as a councillor in Cardiff. He has issued a statement showing that he is unrepentant and wants to appeal the adjudication panel's ruling in the High Court. 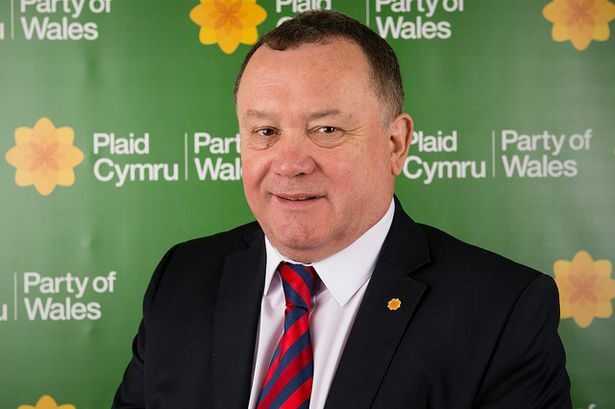 Despite the ruling, Plaid Cymru have allowed this bully to take the whip again showing that bad behaviour is rewarded in the establishment parties. The Queen gave royal assent to the Brexit bill today, paving the way for Theresa May to invoke Article 50 and begin the process of taking the UK out of the EU. The Prime Minister still hasn't given a date when she will send the letter informing the EU that we are leaving, leading to yet more speculation about her motives. Is she hoping that it will be delayed again by vexatious legal challenges from the likes of anti-democracy campaigner Gina Miller who has promised to try to block Brexit again? There really is no excuse for dragging this process out any further. The Prime Minister needs to move quickly if we are to avoid the next EU referendum and paying unnecessary membership fees. For every week that Theresa May delays invoking Article 50 we make a net contribution to the EU of a quarter of a billion pounds. That's almost the entire budget for transport being spent on an organisation that we voted to leave 9 months ago. The Conservative Party have been fined £70k by the Electoral Commission for making false spending declarations in the general election in 2015. Specifically referring to Thanet South where Craig Mackinley went considerably over his legal spending limit to secure a victory over Nigel Farage, the Electoral Commission have said that they "cannot determine precisely" whether Mackinlay committed the fraud because of the Conservative Party's record keeping or whether he did it deliberately. They do, however, unequivocally conclude that Mackinlay and others "gain[ed] a financial advantage over opponents". Hopefully the various police forces who have been investigating Tory election fraud will have found the evidence necessary to bring criminal charges against whoever was responsible. Their Chief Financial Officer has already been accused by the Electoral Commission of committing a number of offences and other officials are alleged to have been in on the fraud. 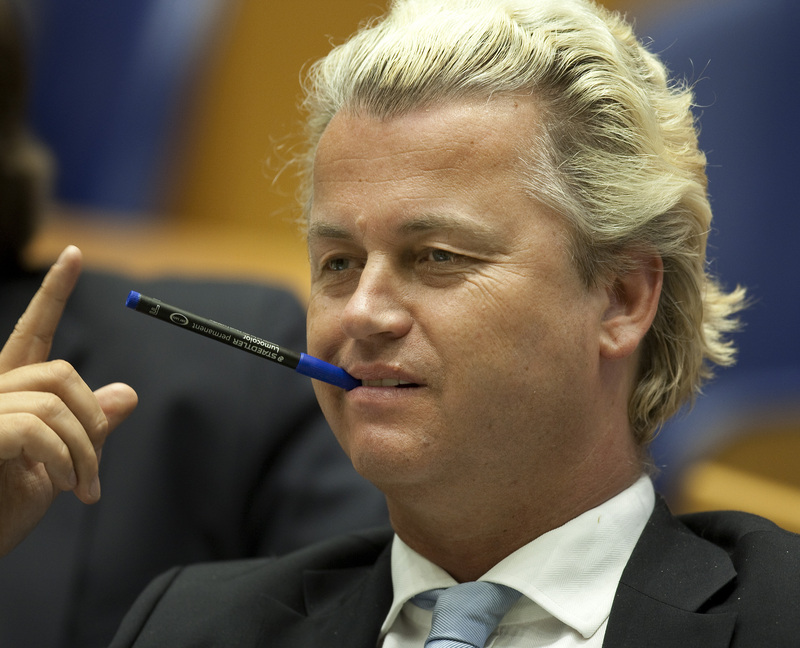 Geert Wilders' PVV has come second in the Dutch general election held yesterday, leaving the incumbent VVD the largest party albeit with a big slump in the number of seats. It will take time to finish counts and calculate seats won under proportional representation but it would appear that the VVD will come out with 31-33 seats (down from 41) whilst PVV will increase their 8 seats to 20. The PvdA (Labour) are expected to drop from 38 seats to 9. There was much speculation prior to the election that the PVV could win the election as resentment toward uncontrolled immigration and the cost of propping up the EU and €uro have increase. And Wilders was expected to benefit from Rutte's government ignored last year's referendum result on Turkish visa free travel a couple of weeks ago and the Turkish government denounced the Netherlands and Dutch people over the last week or so. But the Dutch are a funny lot. They are fantastic people but they are liberal to the point of destruction. Another Rutte government is a disaster for the Netherlands but that's democracy for you. Rutte described the PVV as "the wrong type of populism". In the EU, populism has become a dirty word but it would be interesting to know how you can have the wrong type of doing what ordinary voters want which is what populism means. The British Chambers of Commerce have raised their growth forecast for the UK economy from 1.1% to 1.4%. The BCC, along with other industry analysts who were part of Project Fear, were forced to upgrade forecasts several times following the EU referendum when the economy failed to fall off a cliff edge, when unemployment dropped and when the mass exodus of employers they promised instead turned into billions of pounds of inward investment. 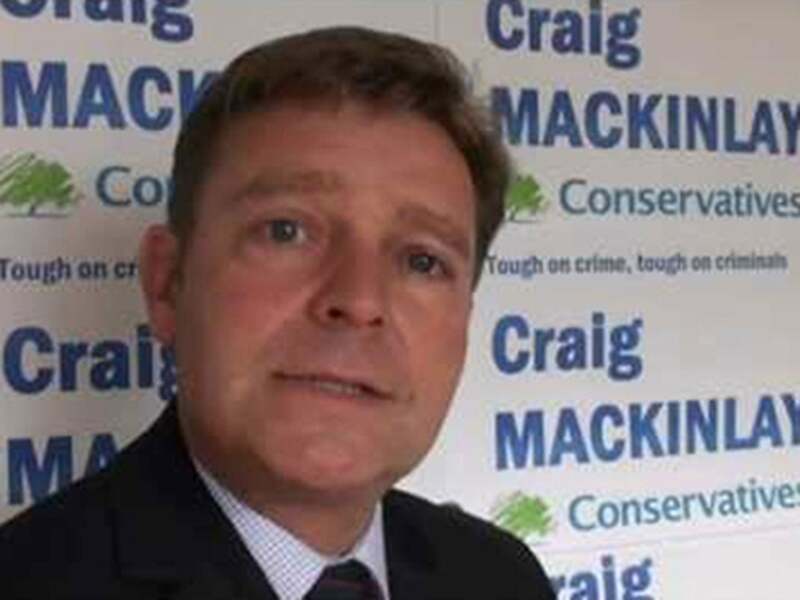 Conservative MP, Craig Mackinlay, has been interviewed by Kent Police under caution for 6 hours as part of their investigation into alleged overspending in the last election. 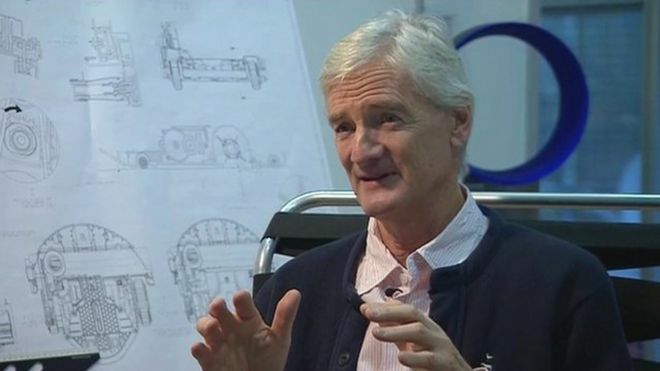 Mackinlay is believed to be one of six Conservative MPs who face possible criminal charges and having their election result declared void for alleged fraudulent expenditure after Channel 4 found what it believed to be significant amounts of missing expenditure and expenditure wrongly declared against national campaigns rather than local. The upshot of this is that several MPs are believed to have overspent by a considerable amount, breaking electoral law and giving themselves an unfair advantage. 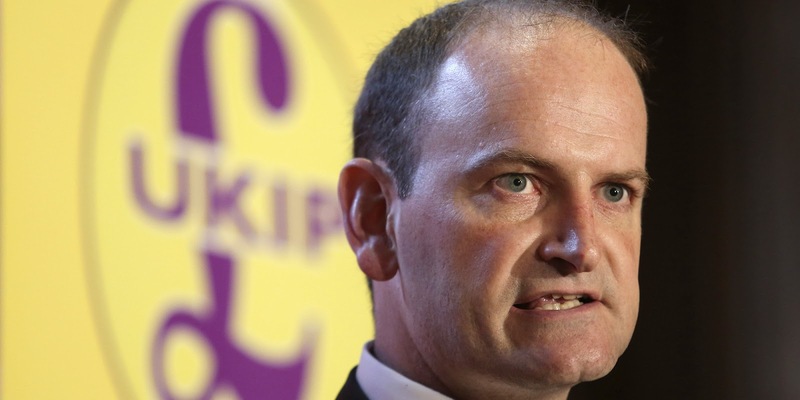 The South Thanet seat won by Mackinley was contested by Nigel Farage and the Conservatives threw the kitchen sink at it to stop him winning but in doing so it is alleged they overspent by as much as double the legal limit and hid the illegal expenses by claiming that people bussed in to the constituency or sent to work there full time on the campaign were actually working on their national campaign. Aaron Banks has been blocked from re-joining UKIP pending the outcome of a meeting with the party's NEC later this month. Banks' membership was up in January but he failed to renew. 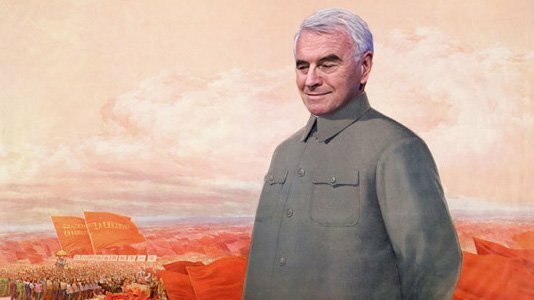 He refused to accept Paul Nuttall's landslide victory in the leadership election and when things went badly in Stoke he went full Kilroy and saw it as an opportunity to try and seize power. Paul made it very clear that his leadership would be about unity. Aaron Banks is only interested in Aaron Banks. He hasn't got behind the leader or the party and has no intention of doing so. The party is better off without his disruptive influence. The House of Lords have backed down on their wrecking amendment to the Brexit bill after the Commons rejected them and have passed it unamended. Peers had passed amendments to the EU Withdrawal Bill that would have given parliament another vote at the end of the negotiation process and unilaterally guaranteed the rights of EU citizens remaining in the UK after we leave. Having already triggered Article 50, the only "meaningful" vote in parliament would been whether to accept the terms negotiated with the EU or whether to leave with no deal. The unilateral guarantee of EU citizens' rights would undermine future negotiations on the rights of UK citizens which are currently being blocked by several EU member states. The decision not to force a game of parliamentary ping pong with the Brexit bill means that Theresa May can trigger Article 50 in time to avoid the need to pass legislation to prevent EU elections in 2019. We are told that Conservative MEPs currently sitting in Strasbourg believe that Article 50 will be triggered today although official sources are suggesting it will be at the end of the month. If Theresa May does wait until the end of the month it will fuel speculation about her constant dithering over something she has promised to do since becoming prime minister. She has dithered and delayed for over 8 months allowing Remoaners time to launch vexatious legal challenges which have caused even more delays and produced even more opportunities to water down or block progress. There is a widely held belief that despite promising to deliver Brexit, the Remain-supporting prime minister is in fact trying to give her side as many opportunities as possible to scupper Brexit she can get away with. The English Democrats' regional organiser for the south east of England has been given a 7 month prison sentence and banned from standing in any election for 5 years. Steve Uncles was convicted of 7 counts of electoral fraud including forging signatures, submitting nominations for people without their knowledge and even making people up. It is likely that his fraud would have gone unnoticed had he not been stupid enough to make up ridiculous names such as Anna Cleaves (a reference to the fourth wife of Henry VIII who was from that area), Rachelle Stevens (an homage to the former S Club 7 singer who he has a well known infatuation with) and Steves Uncle (yes ... he really did that). Uncles should have stood trial last year but had it delayed so he could - with no sense of irony - stand for the office of Kent Police & Crime Commissioner. He came last. Commenting on Uncles' sentence, the Chairman of the English Democrats, Robin Tilbrook (who didn't represent Uncles despite being a solicitor) said that his crimes were "pretty silly" and that he didn't think he should go to prison. He did confirm that Uncles had at last resigned from the English Democrats. There will be many victims of Steve Uncles' hate campaigns who will be celebrating this news. There are thankfully few people in this world who are truly irredeemably bad people but Steve Uncles is one of them. The axe wielding nutter who injured 7 people in Dusseldorf in the early hours of Friday has been named as Kosovan muslim, Fatmir H.
Fatmir was immediately declared mentally ill by German police which is policy across Europe whenever a muslim commits a terrorist offence. A man went on the rampage with an axe in Dusseldorf last night, wounding 7 people. The 36 year old man is from "the former Yugoslavia" and the police have already said he appears to have psychological issues. Someone going on the rampage with an axe and the police dismiss it as mental problems ... sounds familiar. 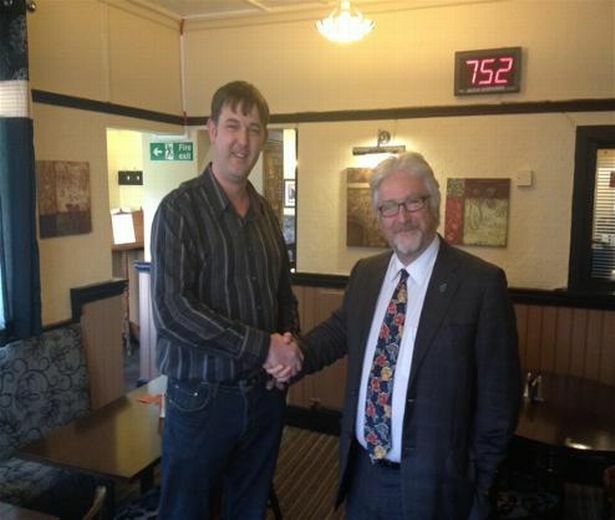 Pendle Labour and Lib Dems have done a deal with the BNP to get a majority on the council. The sole BNP councillor on Pendle Council is supporting the LibLab coalition in exchange for a regeneration programme in his ward. The Conservatives are understandably peeved and have written to Jeremy Corbyn to ask him to act against this coalition of the left. Dudley's UKIP councillors successfully challenged both a Labour and Conservative budget last night despite having just eight of the 72 seats on the council. Labour councillors wanted to put up council tax by 4.99% and the Conservatives 3.99% with a guaranteed rise in council tax next year. UKIP put forward an amendment to the Conservative budget which would ringfence 3% of the 3.99% for social care and bring in an outside company to handle the procurement who would be paid a percentage of the cost savings they make. UKIP is generally committed to freezing or cutting council tax but you can't win every fight and clearly eight UKIP councillors are massively outnumbered so this compromise is a good one in the circumstances. There's a risk of an ATOS-style shambles without proper scrutiny so the success of the arrangement will come down to whether council officers manage their supplier effectively or not but this is the best outcome the group could have hoped for. We voted against both but had to set a budget legally or the government would step in and we'd be stripped to basics. In the end UKIP put an amendment to the Tory option so we got 3% adult social care ring fenced increase and 0.99% general increase, total 3.99%. But in addition UKIP moved to bring in an outside professional company to deal with procurement which will save £millions securing front line services and avoiding an increase in general fund next year through prudent management of purchasing. In a nut shell we will save 5% from the £385million annual spend. The devastating impact of Brexit on the economy continues with the terrible news of a major investment by home appliance distributor ao.com in Telford. The firm recently moved into 75,000ft² premises in the town and has just announced the acquisition of a further 10 acre site to house a white goods recycling centre. The company expect 200 permanent positions to be created across the two sites. Police investigating allegations of dodgy election spending in the 2015 general election have sent a file to the Crown Prosecution Service to consider criminal prosecutions. The 24 elections that were initially under investigation have reportedly been whittled down to 12 with Thanet South in the list of cases to be considered for charges. The investigations all relate to alleged overspending in elections, primarily as a result of claiming local spending as national and failing to declare expenditure. 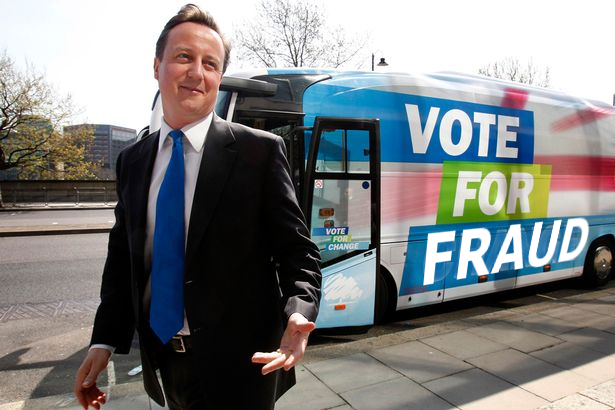 The Tories are now faced with the prospect of having to contest several by-elections without cheating. Remember that "child refugee" who was estimated to be almost 40? Armed anti-terrorist police shot out the tyres of a car in Poole, Dorset and detained four suspects. One of them looks very familiar. Birmingham Labour councillor, Waseem Zaffar, has resigned as cabinet member for Transparency, Openness & Equality due to media attention over his misconduct. Cllr Zaffar bullied teachers at St Clare's Catholic School into allowing a 4 year old girl to wear a hijab despite it being against the school's dress code. He publicly criticised the school on social media and admitted to telling the head teacher at the school that their uniform policy breached the Equalities Act despite that claim being false. Despite his cabinet brief, Cllr Zaffar was anything but transparent or open, failing to mention that the 4 year old was one of his relatives. The council has been criticised by Dame Casey who is heading up the British government's report on community cohesion and integration who said it has echoes of the Trojan Horse scandal where Islamist teachers and parents were discovered trying to take over and Islamise schools in the city. She has written to the leader of the council asking him why Cllr Zaffar thought bullying the school over their uniform policy was appropriate. St Clare's has a strict uniform policy and as a faith school is exempt from regulations requiring accommodation of religious clothing. Hungarian low cost airline, Wizz Air, is establishing a new base at Luton airport where it is already the second largest carrier. Wizz Air's chief exec said the new base "underlines Wizz Air's commitment to the UK" and that Brexit has done nothing to dampen demand. The airline recently announced record passenger numbers, record capacity and the addition of 12 new routes. The new base at Luton will bring both new jobs direct with the airline and additionally with its suppliers and business partners. Three Labour councillors in Sandwell have been suspended from the Labour Party for intimidating a pensioner in a public meeting. Cllrs Ian and Olwen Jones and Cllr Bob Lloyd were found by a disciplinary hearing to have intimidated a pensioner at a meeting of the Wednesbury Celebrates community group last summer. 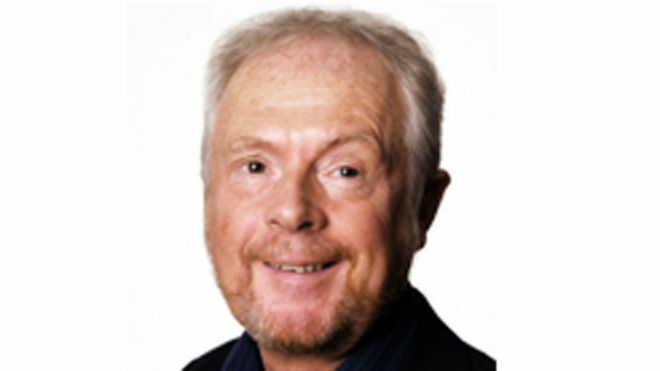 Cllr Ian Jones has only recently been readmitted to the Labour group after the High Court ruled that his last suspension - related to allegations of corrupt practices at Sandwell - was unlawful. The Jones' have been suspended for four months and Cllr Lloyd for three months. 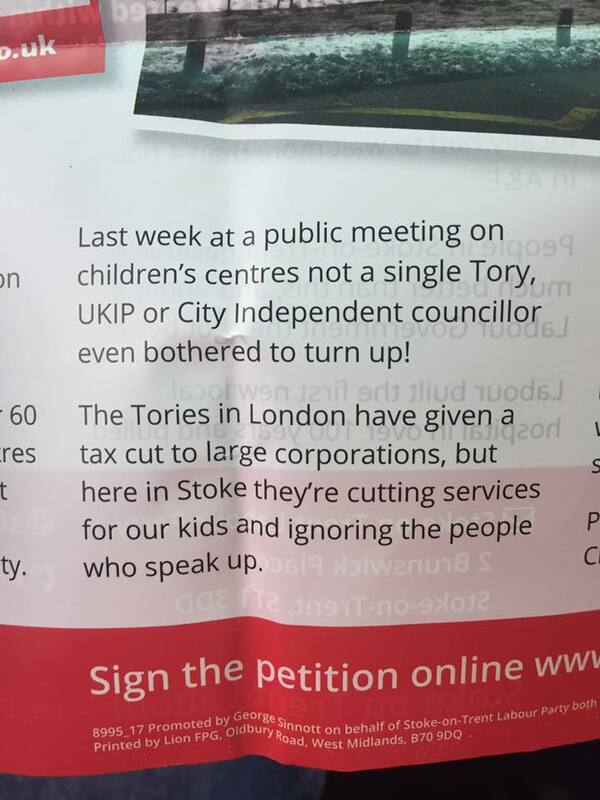 They will now get to experience life as a councillor outside of Labour's closed shop. 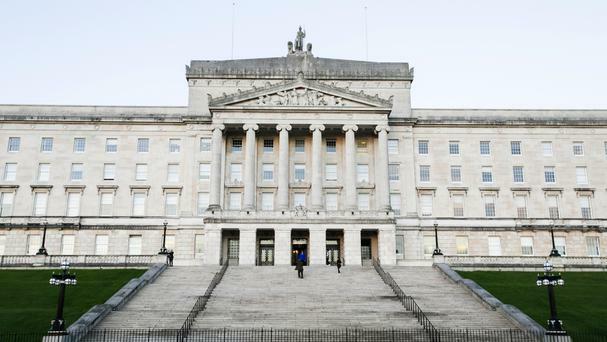 Counting will begin today in Northern Ireland after voters went to the poll yesterday to elect a new Assembly. The elections were brought about by the resignation of Deputy First Minister and IRA commander, Martin McGuinness and the refusal of Sinn Féin to put forward a replacement candidate. The convicted terrorist didn't stand due to a serious illness. The Single Transferable Vote system is notoriously difficult to predict but early indications are that the DUP will finish with most seats but Sinn Féin will be a close second whilst UKIP could end up with one seat. A quarter of EU citizens who study in English universities fail to repay their taxpayer-funded loans. Figures published by the Student Loan Company show that 18,600 EU citizens have taken out student loans and never paid a penny in repayments leaving £400m in unpaid loans. 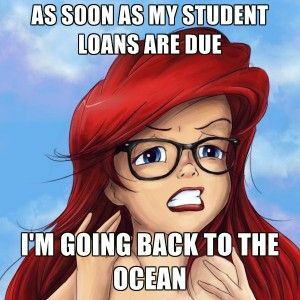 Once they leave the UK the Student Loan Company is unable to automatically deduct repayments directly from earnings and it appears that they choose not pursue the debtors once they've left. When I worked for the debt recovery department of a high street bank many years ago I once instructed an American trace and collect agent to track someone down in Beirut, knock their door and take their cheque book off them that they were using to fraudulently cash cheques at a branch of the Bank of Lebanon in Beirut. It cost $100 and the cheque book was back with us within a week. It is very easy to trace people in EU countries and there is an EU Enforcement Order that allows a judgement obtained in English courts to be enforced in another member state, including in some cases by an attachment of earnings just like they do in England. The Student Loan Company could very easily collect loans from EU citizens but they choose not to, either through laziness or for political reasons. Either way it is absolutely unacceptable and the practice of giving special treatment to EU citizens instead of treating them like any other international student has to stop. The Lords have shown where their priorities lie with the first successful vote to amend the Brexit bill. A number of amendments have been rejected this week but they've voted to unilaterally guarantee the rights of EU citizens living in the UK with no guarantees for UK citizens living in EU countries. 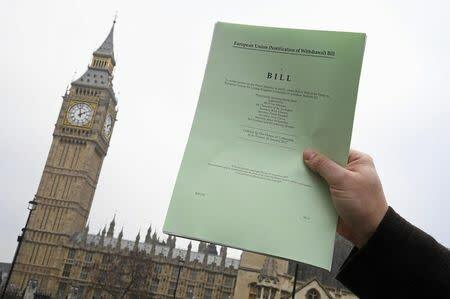 The amendments passed by the Lords can be overturned by the Commons but it all slows the process down and risks delaying Brexit which creates more uncertainty and could mean having to hold expensive EU elections just a few months before we leave. 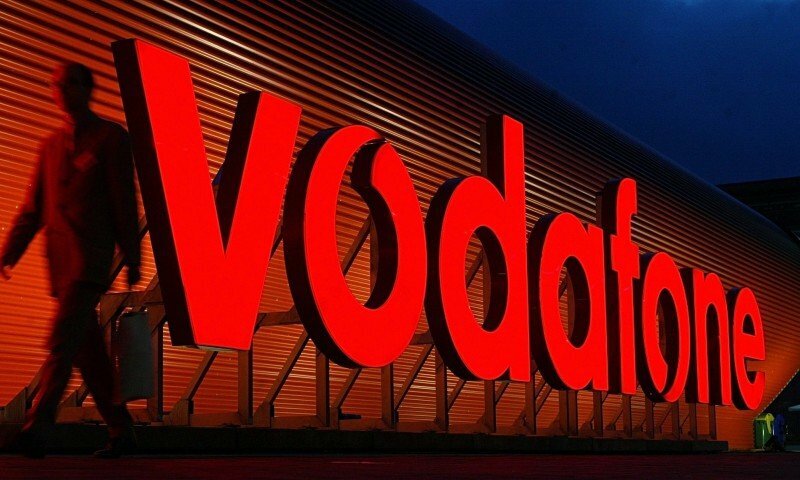 The Chief Executive of Vodafone has blown Project Fear's claims of higher mobile phone bills post-Brexit out of the water. We treat Switzerland, which is not part of the EU, as part of it so why would we not treat the UK that way?